MRGB-A4-CPS series three channel RGB amplifier. 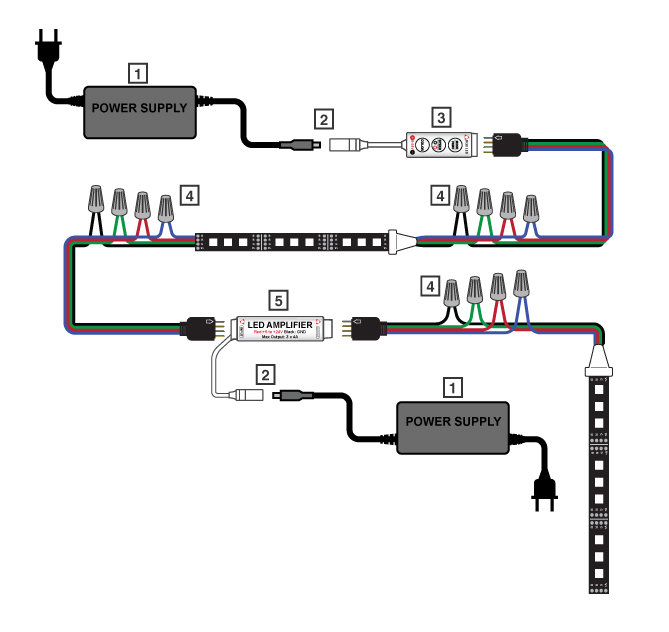 Maximum 4 Amps per channel/12 Amps total. 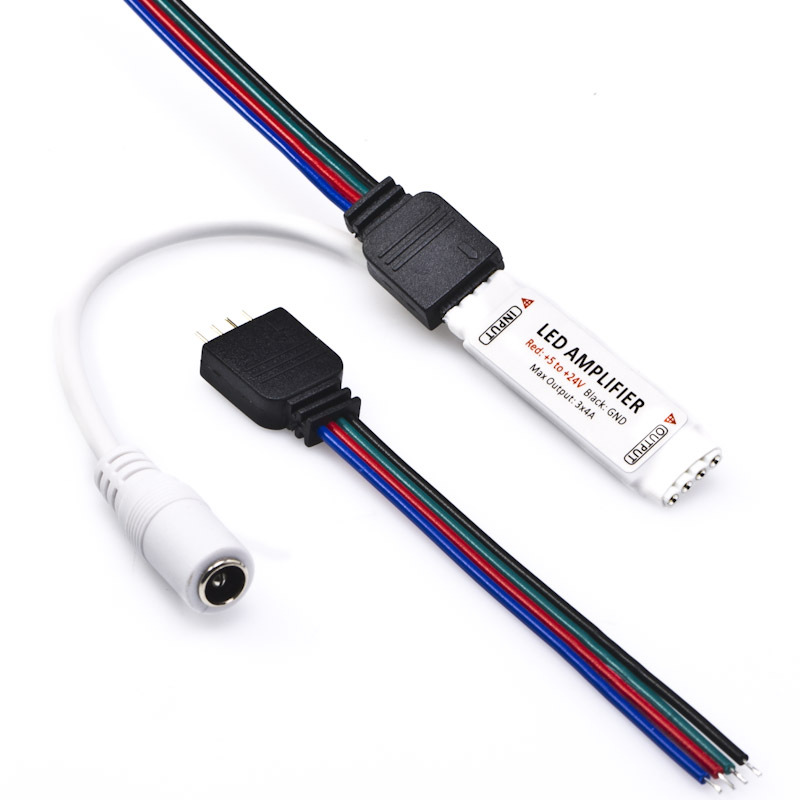 Used to increase the load capability and extend the signal of the universal RGB controllers. Required if exceeding the maximum load capability of any universal RGB controller. Features 3.5" CPS power plug for easy plug and play installation. 5~24VDC operation. 2 x 4-pin RGB pigtail connectors included. Power supply plugs into the RGB controller using a CPS connector. Match the arrow on the 4-pin connector with the positive triangle symbol on the LED controller. Push the 4-pin plug for a secure connection. RGB strips are connected to the controller using wire nuts. Blue wire from the controller connects to blue wire from the strip. Red wire from the controller connects to red wire from the strip. Green wire from the controller connects to green wire from the strip. Black wire from the controller connects to black wire from the strip. The amplifier has an RGB input and an RGB output. Power plugs into the amplifier via the CPS connector. Match the arrows on the 4-pin connectors with the positive triangle symbols on the amplifier. This insures proper polarity.